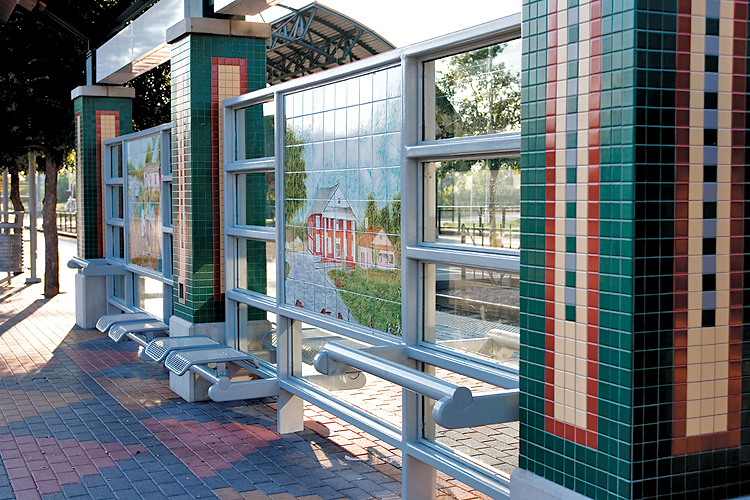 This station is located on the edge of the oldest African American community in Dallas. Settled by freed slaves in the late 1880s, the neighborhood is part of the Tenth Street Historic District. 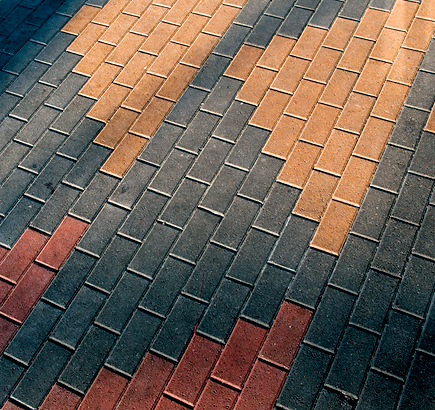 Station pavers acknowledge the African heritage of many residents by featuring a geometric design based on the woven cloths of the Kente tribe. Artist Johnice I. Parker used hand-painted and fired tiles on the station windscreens to create Images of Community Life, a series that illustrates the neighborhood’s deep roots in Dallas history, as well as its abiding focus on community, family, church and education. 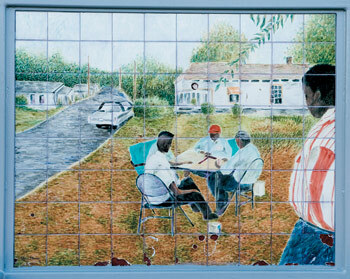 Various scenes illustrate everyday activities such as playing dominos in the nearby park, as well as community landmarks such as a neighborhood church, Greater El Bethel, designed by William Pittman, the first African American architect in Dallas and a son-in-law of Booker T. Washington.